A long bank holiday weekend is the perfect time to get outside and enjoy the countryside, rivers, forests and parks. Everyone wants a clean healthy environment to enjoy. We all know about small things we can easily do to avoid damaging the countryside which collectively make a big difference - like picking up our rubbish. However did you realise that small actions in your home have an impact on the environment? Maybe you’re cooking a roast dinner this Easter weekend. 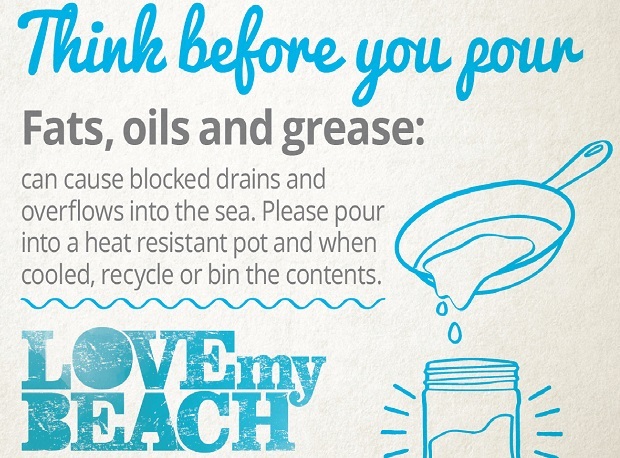 Did you realise that oils and fats poured down the drain can block pipes, or pollute rivers and beaches? So one small action you can take to protect the environment is not to pour oils, fats or grease down the sink. If you haven’t heard this advice before please let your friends and family know too. The more of us spread the message, the bigger impact we can have to reduce expensive pipe blockages and protect the environment from pollution. What is the best practical advice? Maybe you could offer to help in the kitchen with the clear up. Cool, recycle or bin the oil and fat, then feel great about the protecting water quality in rivers and beaches. Teams across the Environment Agency work to protect and improve water quality in rivers and at beaches which are popular swimming spots. The work we’ve done with partners to improve the water quality at beaches has made dramatic improvements over recent years. Water quality has improved as we’ve tackled sources of pollution but we need your help to improve it further. There has been a huge amount of investment from water companies. In some areas where water quality wasn’t good enough we’ve joined forces with others such as water companies and local authorities to investigate. We’ve traced pollution back to houses or businesses where fats and oils were being poured down drains or where the buildings had incorrectly connected plumbing, read more about that here. Many of us will be having meals and walks in the countryside to enjoy the long leisurely weekend. 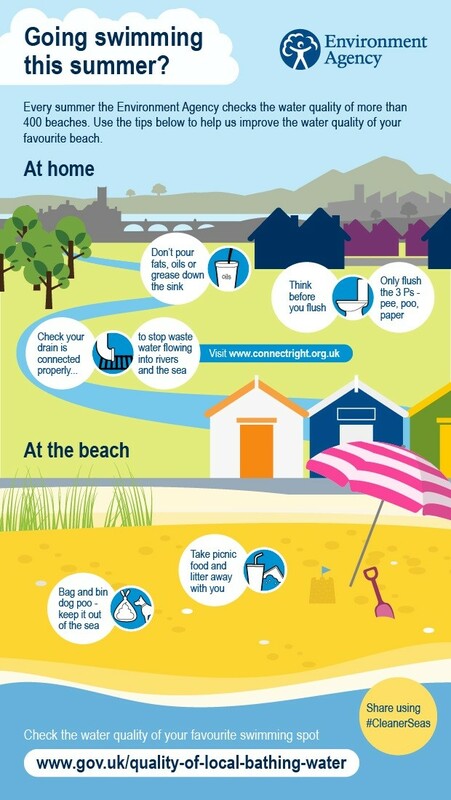 However this post about the bank holiday wouldn’t be complete without acknowledging and thanking of all my colleagues who are working or on standby this weekend, ready to respond to pollution incidents, to clear obstructions that cause a flood risk, monitoring river levels, working on flood forecasting or in incident rooms, keeping rivers and wetland clean and full of life, protecting water quality at the beaches. At the Environment Agency we work hard to create a better place and keep rivers clean and ground unpolluted. Lots of the things you see on a country walk have been preserved and improved by the work the Environment Agency does. Enjoy your weekend and the environment!